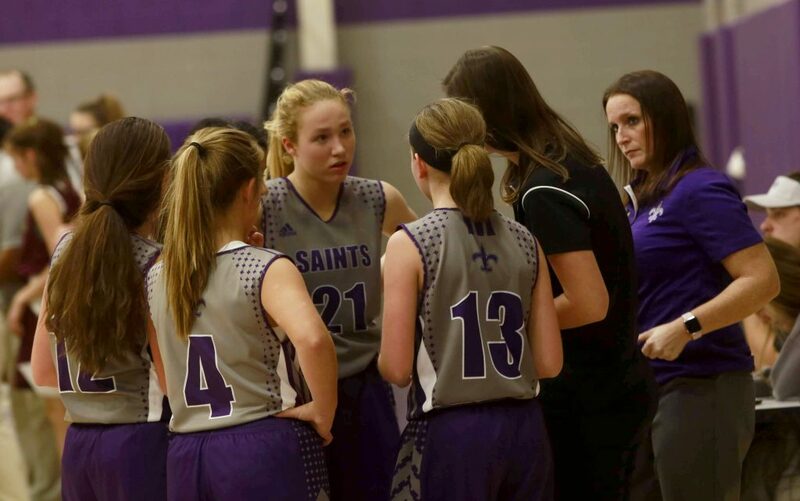 With basketball season in full-swing, Coach Sara Huff has been working hard to prepare student athletes for their time on the court each week. 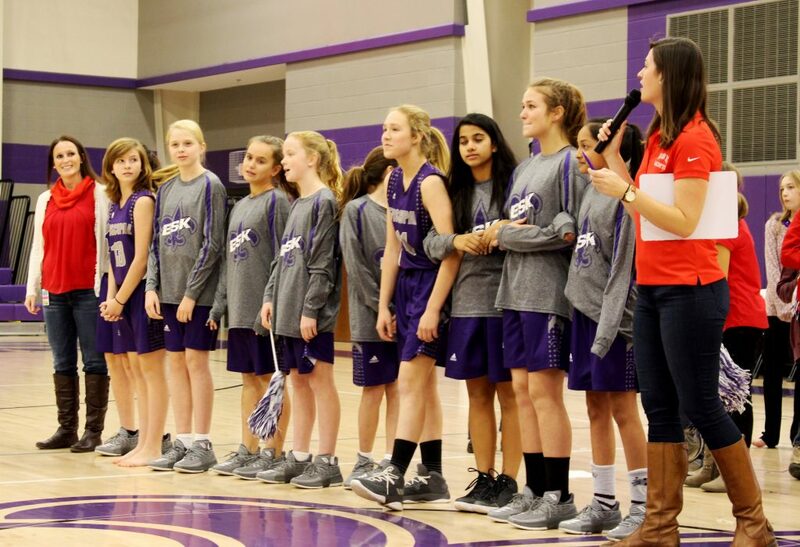 Coach Huff told us about her own experience playing basketball, and why she loves to coach at ESK. How long have you been coaching? What is your background in the sport you coach? I have been coaching basketball for five years. I started playing basketball at age 8 and continued through high school. How did you become involved in coaching? I became involved in coaching after the head basketball coach found out that I played basketball. I have been an assistant coach since! As a coach, what do you look for in an athlete? What makes an ideal player? As a coach, I look for enthusiasm, commitment, and a strong-work ethic in players. The ideal player works on their skills year round and studies more about the sport. 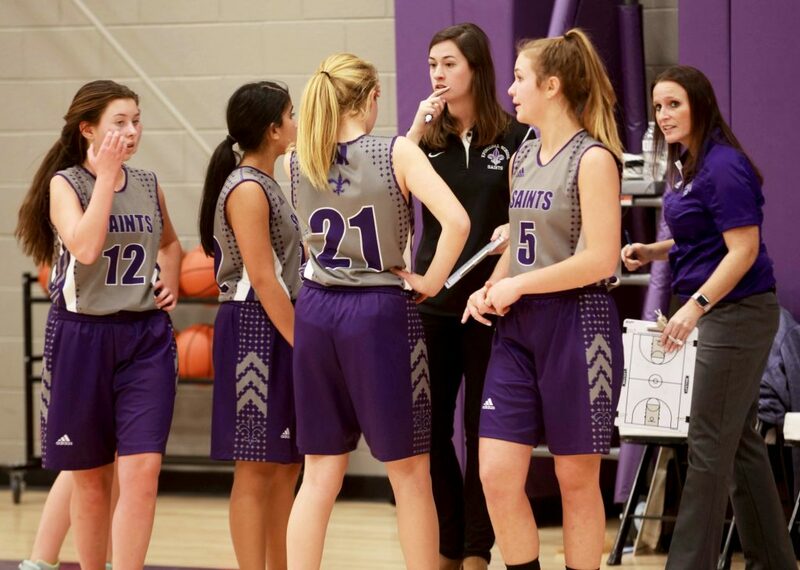 What makes the athletic program at ESK different from other schools? What makes coaching at ESK a unique and rewarding experience? The athletic program at ESK is very accepting to all levels of athletes compared to other schools. We work on teaching the basics to the younger kids and continue teaching basketball throughout the season. Coaching at ESK is unique in the sense that I am a teacher of the sport instead of just a coach. The bond between coaches and players is truly like a family. What do you hope kids gain from their athletic experience at ESK that will serve them later on in life? My greatest hope for athletes being on a team is that they learn perseverance. You will not win every single game, and it is the action that follows a loss that determines an athlete’s character. Student athletes learn that dedication, commitment, hard-work, and resiliency are life long skills that are necessary for success. Thank you, Coach Huff, for sharing your perspective on coaching with the ESK community. You articulated exactly why we take pride in ESK athletic programs – our goal to include all students who would like to participate as best as we possibly can. We’re grateful for the time you dedicate to our students! Check out the 2018-2019 basketball calendar here, and catch the Saints in action one evening in Siler Gym!